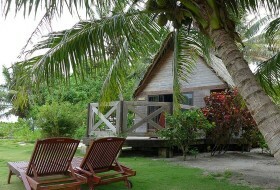 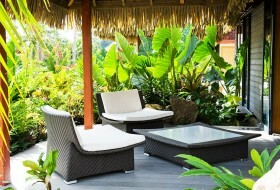 Yves and Sylvie welcome you in their guest house including 4 bungalows with a large terrace. 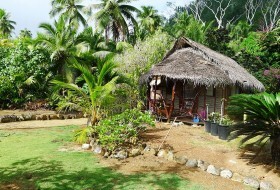 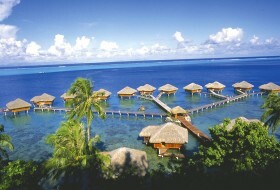 The Moana Lodge enjoys a nice location in the village of Parea in the South of Huahine, lagoonside along a small white sand beach. 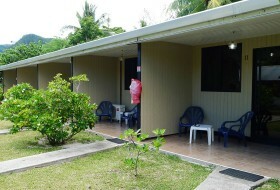 Small groceries and restaurants are also available near the guest house. 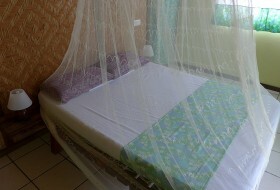 Families and single travellers will love the quite place offering several activities departing directly from theguest house.